Music is used by athletes and exercisers to improve performance, but it is less known whether its properties can enhance performance at maximal intensity. 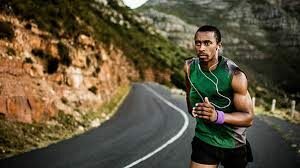 A study measured participants’ performance time, average heart rate, and rating of perceived exertion (RPE) on a 1.5-mile running trial when listening to self-selected motivational music vs. no music. For the music trial, participants were asked to select and listen to a motivational song, which was scored by the participant for its motivational quotient using the Brunel Music Rating Inventory-2. Participants improved mean performance time by 10 seconds and increased average heart rate by 4.5 beats per min. in the motivational music condition. Therefore, ergogenic qualities of motivational music may elicit a greater performance from experienced runners while simultaneously lowering perception of effort when working at maximal intensity. PreviousPrevious post:What is Diabetes Distress?NextNext post:What are the health benefits of dark chocolate?